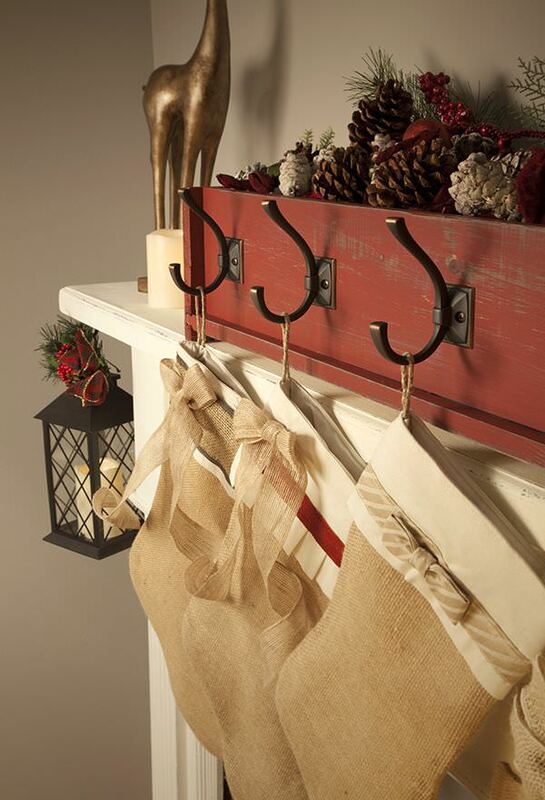 “The stockings are hung by the chimney with care…” One of the things I hate “making do” with is stocking hangers. Little cup hooks and 3M command hooks are great for hanging things when you can’t see them, but whatever hangs the stockings is on full display. So try these DIY Christmas stocking hanger projects, so that when the time comes to hang those beauties, you are all prepared! Before we get started though, I wanted to share a fun smart phone app I just found. It’s a Christmas Countdown, and you can personalize it as well. Check it out here at the iTunes store… Anything to make a little holiday magic, and help us get into the spirit! 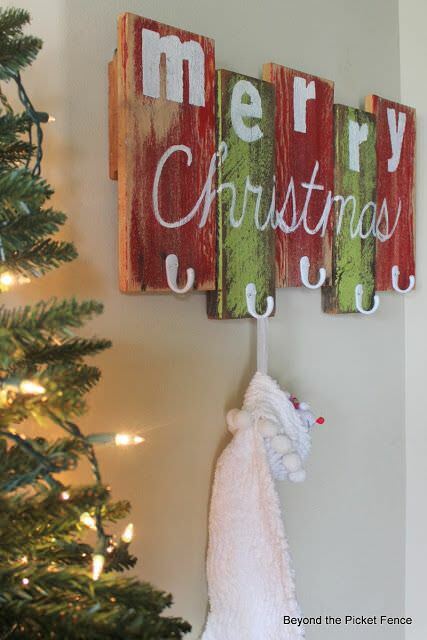 Love, love, love this version of a DIY stocking hanger by ‘Lolly Jane‘. This is an easy woodworking project even for beginners. They walk you thought the entire process of making this stocking holder step by step. And you don’t even need a mantel for this one! 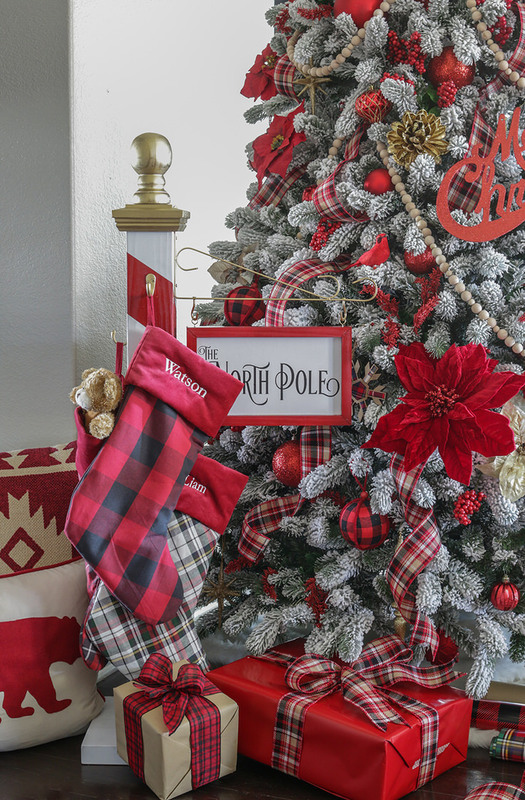 We adore this North Pole Christmas stocking hanger, and your kids will too! (Of all ages!) From Jen at ‘House of Wood‘, she even has links to other bloggers’ own versions of this easy Christmas project. From ‘Scissors and Spatulas’,is the perfect example of stocking hangers you cannot get in a store. I love these! Old worldly feeling, and the vintage door knobs just makes you think of little children all tucked in their beds! Now, she uses a vinyl cutter to create the letters, but you could just put together vinyl letters from the craft store. Or better yet, use a paint pen and do it by hand. 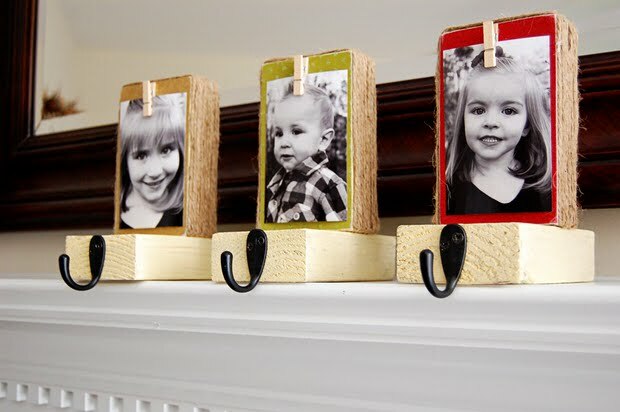 Becky at ‘Beyond the Picket Fence‘ blog has a tutorial for this easy DIY stocking holder made from scrap wood. I love this option because a lot of smaller homes don’t have a mantel, and this project doesn’t need one! 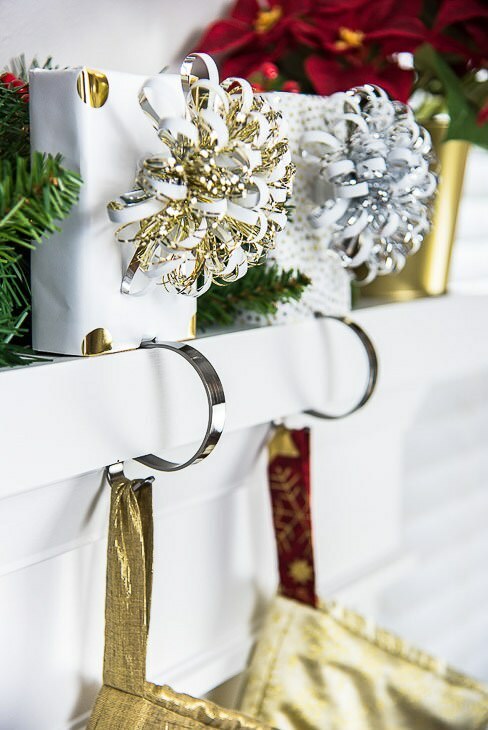 Another no mantle Christmas stocking hanger solution from ‘Listfully Blissful‘, this is another easy project for those of us without a mantel to hang stockings from! 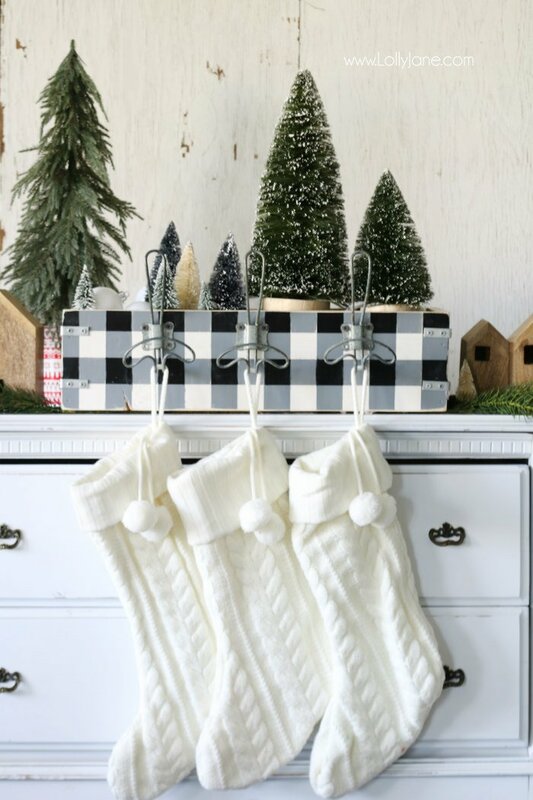 This is a gorgeous diy stocking hanger project. ‘Home Depot‘ has a complete tutorial for this DIY rustic stocking holder. This is a dual purpose project… it not only holds the stockings, it gives you a container to style holiday mantel fun as well! We hope you found a DIY Christmas stocking hanger perfect to make for your holiday celebration!